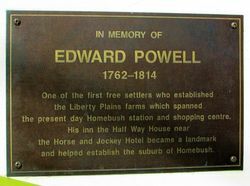 A plaque commemorates one of the first, free settlers in Homebush, Edward Powell. 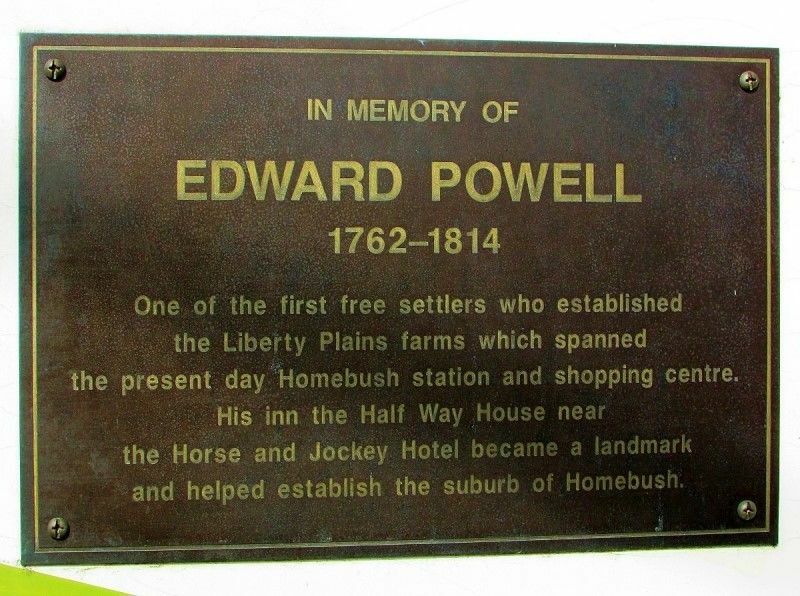 One of the first free settlers who established the Liberty Plains farms which spanned the present day Homebush station and shopping centre. 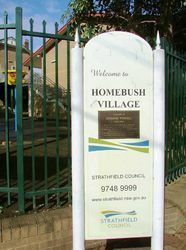 His inn the Half Way House near the Horse and Jockey Hotel became a landmark and helped establish the suburb of Homebush.